Part of the Elizabeth Hartman for Robert Kaufman Reef Collection - AZH-16971-364 - Ultra Marine. Kona coordinated 100% Cotton; Machine Washable. 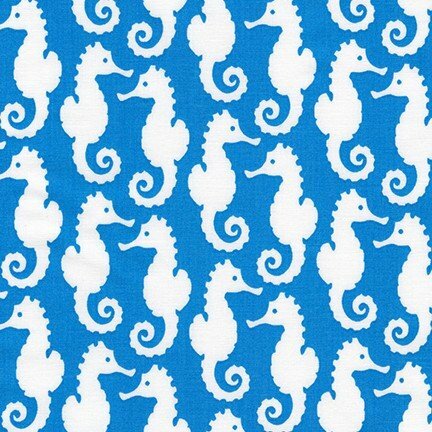 Blue fabric with white sea horses.